A Waterborne application of ESS-13 is highly effective in minimizing the amount of water loss due to seepage in ponds or lakes. Even lakes that were previously lined with PVC, native clay or bentonite can be successfully treated with this method. 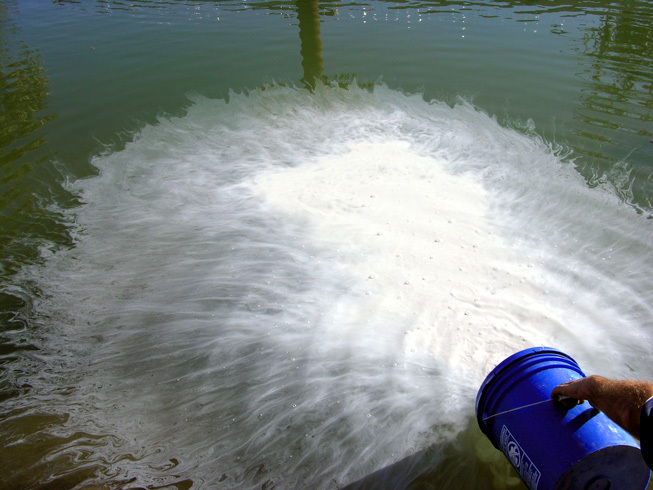 A Waterborne application of ESS-13 usually requires one gallon of ESS-13 to every 2,000 gallons of water, although this rate may vary. The product is either poured or pumped into the water at various locations. Over the next few hours, the product will disperse throughout the entire body of water, covering every square inch of soil surface. The majority of the sealing action takes place in the first 72 hours. 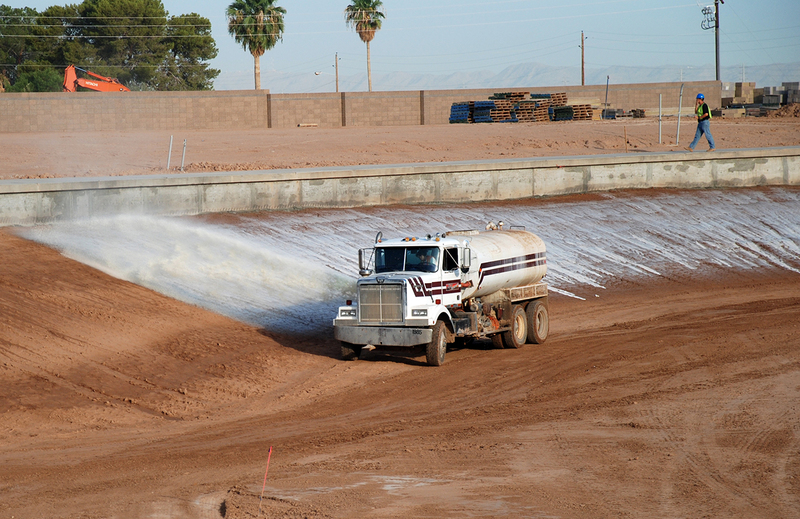 Typical results vary from a 60% to 90% reduction in the amount of water loss due to seepage, and this initial reduction will continue to improve with time. 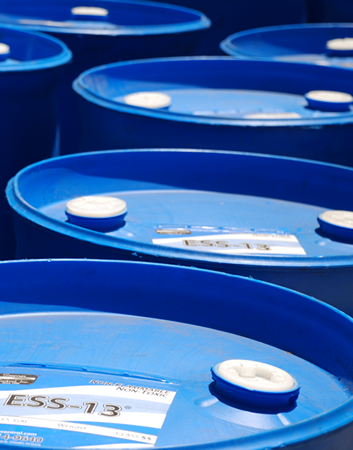 Test data shows that ESS-13 is non-toxic to aquatic life and any effect would be only at concentrations significantly higher than our standard treatment. An aquatic toxicity report is available upon request.